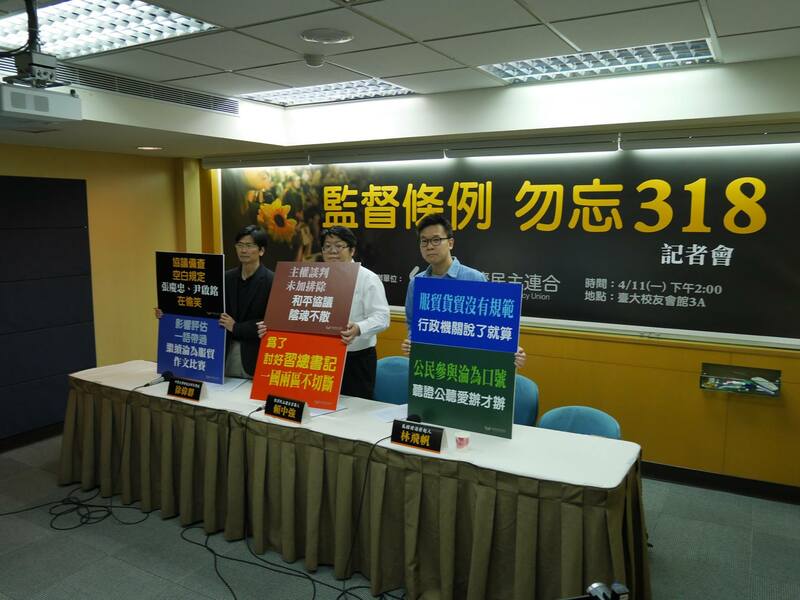 CONTROVERSY OVER the cross-straits oversight bill continues, with Sunflower activists criticizing the DPP’s version of the bill as insufficient in its ability to safeguard relations between Taiwan and China and demonstrating outside the Legislative Yuan on April 15th. 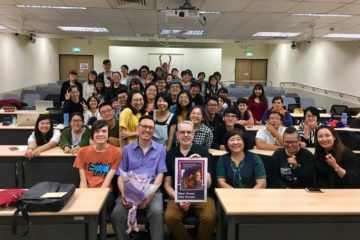 In particular, this comes after a previous controversy regarding whether the DPP’s version of the bill differed substantially from the KMT’s, and concessions made by the DPP with the removal of a clause which would have passed bills automatically if not discussed by legislature. 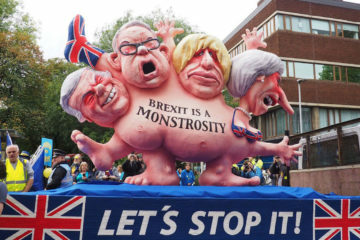 It was argued that this clause would have allowed the way for the automatic passing of trade agreements, returning to the scenario which led to the Sunflower Movement occupation in 2014. The bill was originally proposed as a means to prevent a recurrence of the situation of a trade agreement with China being passed with little discussion of the measure in legislature. 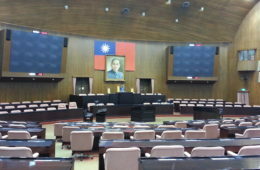 The cross-straits oversight bill is one likely to cause fractures not only within the pan-Green coalition, but within Taiwanese civil society activists. Recent demonstrations were fronted by Lin Fei-Fan, one of the most visible leaders of the Sunflower Movement, who has been active recently in drawing attention to the Cross Straits Oversight Bill. 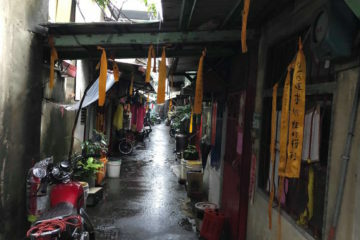 However, the New Power Party, led by Huang Kuo-Chang, himself one of the most visible leaders of the Sunflower Movement along with Lin and one of the “Third Force” parties which originated from post-Sunflower Movement civil society, has stated that they intend to follow legislative procedures regarding cross-straits agreement. Lin is a member of the New Power Party as well, but we see likely see early signs of splits within the party regarding the perception of backsliding by the NPP. Alternatively, if we are to take a more optimistic view of the New Power Party, we can view this as a “division of labor” between elements of the New Power Party. 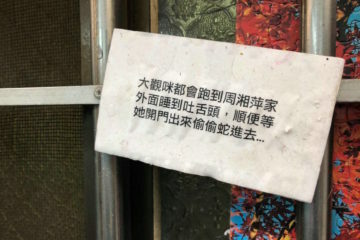 After all, since Huang and other members of the party are now elected legislatures in the Legislative Yuan, they can hardly take on actions like last year’s occupation of the Legislative Yuan so easily. This may be left up to others who are not elected representatives. 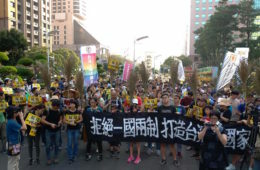 Lin participated in the demonstration under the auspices of Taiwan March, which was founded as an activist organization after the Sunflower Movement, but many of whose most prominent members later became members of the New Power Party. 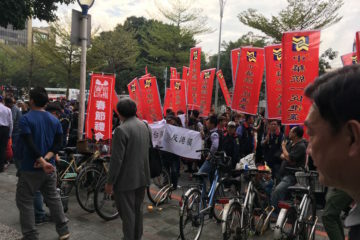 The primary organizer of the demonstration was the Economic Democracy Union, which was one of the main organizations pushing for opposition to the CSSTA before the Sunflower Movement. 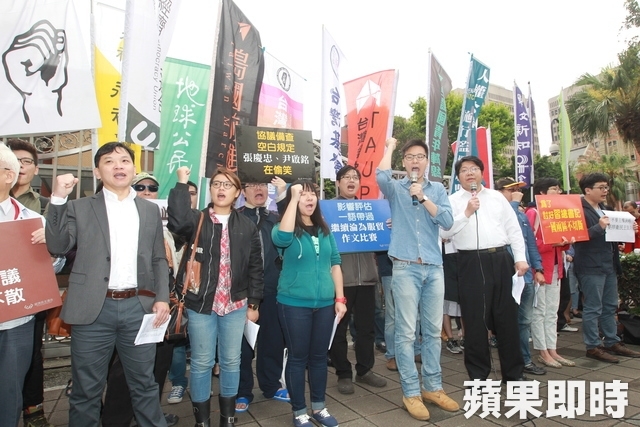 Predictably, there will probably soon follow calls from more centrist pan-Green elements that blame activists for acting unreasonably in pushing the issue too hard, when faith should be placed in the incoming Tsai administration to handle the matter. 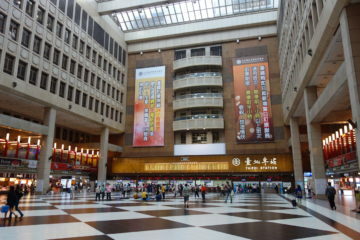 The Tsai administration has not even taken power yet, after all. 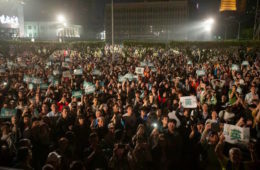 The fear that the Tsai and the DPP will drift increasingly towards policies reminiscent of Ma Ying-Jeou will be dismissed as an irrational fear, coming from individuals too unwilling to place their trust with any political party whatsoever—even an ostensibly pro-Taiwan one—who would turn on any established political authority. Nevertheless, incoming premier Lin Chuan intends to still pass the controversial CSSTA trade agreement which was the cause of the Sunflower Movement’s month-long occupation of the Legislative Yuan. Tsai also intends to sign the RCEP trade agreement with China, a similar trade agreement. This is ironic, given that Tsai was in part put into power with the support of Taiwanese civil society, with appeals to carry on transparent and open government in a manner different from the Ma administration, and to safeguard Taiwan’s current status of de facto independence from China. 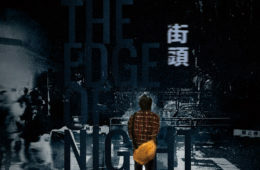 IN THE CASE of Lin Chuan’s intent to pass the CSSTA or Tsai’s intent to sign the RCEP, the divided verdict on the notion of signing free trade agreements with China goes back to the Sunflower Movement itself. 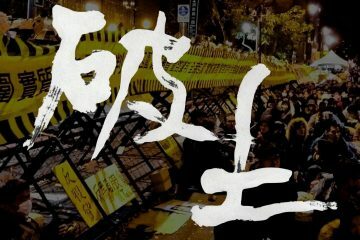 During the Sunflower Movement, among the student activists themselves, there emerged a split between the positions of opposing the KMT-led untransparent “Black Box” process by which the bill was passed without any discussion, but not opposing the CSSTA itself—and those who opposed both the “Black Box” and the CSSTA. Moreover, there was division between opposing the CSSTA because it was a free trade agreement signed with China and the position of opposing all free trade agreements whatsoever on the basis of opposition towards neoliberal free trade policies. Indeed, Lin has declared that his intent to pass the CSSTA will be on “proper” grounds. If the DPP under Tsai Ing-Wen intends to still pass the CSSTA, the DPP’s likely defense of itself will be that it allied with civil society to oppose the “Black Box” process by which the CSSTA was passed, but not the CSSTA itself. 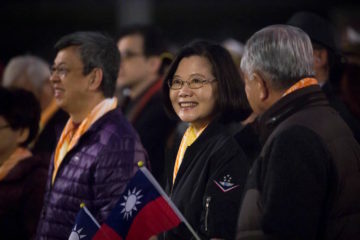 Likewise, though during past elections it was an openly declared policy of Tsai Ing-Wen that she was also in favor of pushing for the RCEP free trade agreement with China, she downplayed this in order to gain the support of Taiwanese civil society activists. 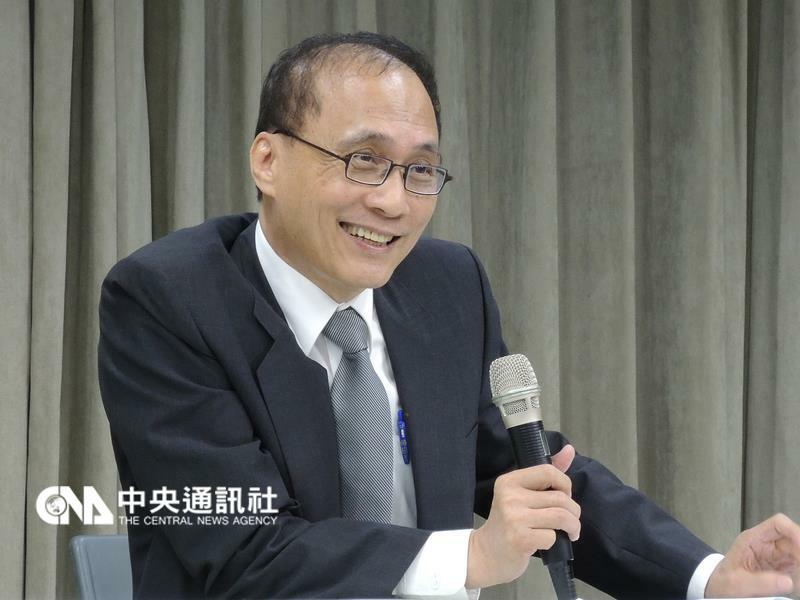 In a side-by-side comparison between Tsai Ing-Wen’s proposed economic policies and the proposed policies of KMT candidate Eric Chu, as stated during past elections, one finds they are largely the same. 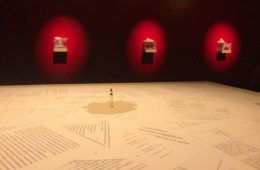 Nevertheless, the KMT was decidedly more open about being in favor of signing free trade agreements with China, which was certainly one of the factors behind the KMT’s overwhelming defeat in elections. 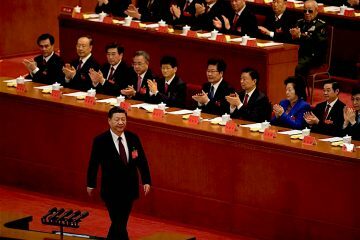 THE LARGER QUESTION at hand remains that of Taiwan’s need to find a suitable trade arrangement with China which will not erode away Taiwan’s sovereignty or serve as a means by which China uses economic means in the interests of advancing political control of Taiwan. 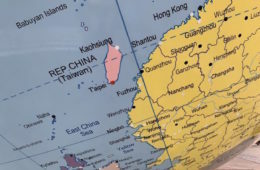 After all, the realization of Taiwanese independence in some form means little if it means independence in name only, and China controls Taiwan economically. 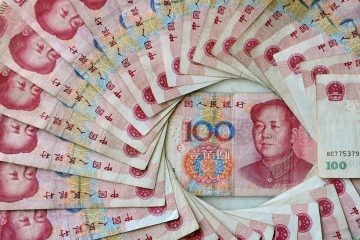 China’s economic and political presence makes it impossible to avoid, meaning it is impossible for Taiwan to simply ignore China. 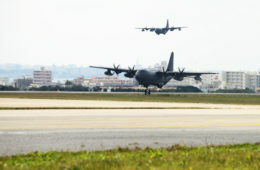 Some arrangement will need to be found with China, sooner or later, in some form which does not infringe upon Taiwanese sovereignty. 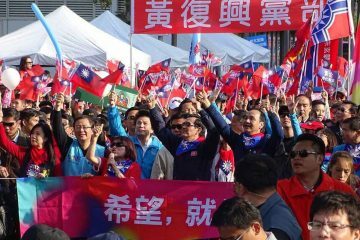 If it is that Tsai Ing-Wen will probably not be so quick and ready to sell out Taiwanese sovereignty to China as a KMT president would, what is to be questioned is whether a conservative strategy for preserving independence by acquiescing to China may ultimately prove to be not so different from attempts outright to sell out Taiwan by the KMT. And these matters are not unrelated, given that the passing of trade agreements by a DPP-led administration may also be to pacify China, for fear that China will take Taiwan not passing trade agreements as a provocation. We may raise questions about whether the independence of Taiwan can ever truly be secured on stable grounds, so long as Taiwan is tied to China through the ROC framework, given that the DPP has indicated that the DPP intends to let the ROC framework be for the time being. 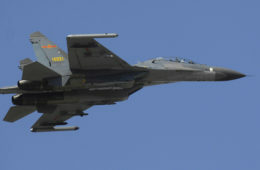 This, too, is for fear that attempting to move away from the ROC framework will be overly provocative of China. But it may take efforts from activists to push the DPP and other parties in order to prevent backsliding. The primary rationale for backsliding may be fear of provoking China, as trumping all else. 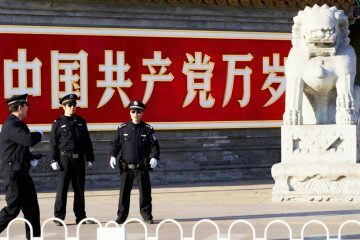 What would it take for the DPP to move beyond the fear of backlash from China and to pursue means of not only preserving its current status of de facto independence, but permanently securing it? Ultimately, this is what needs to be discussed. However, terror of China cannot trump all other considerations, otherwise even just the preservation of Taiwan’s current state of de facto independence will prove an impossible task. 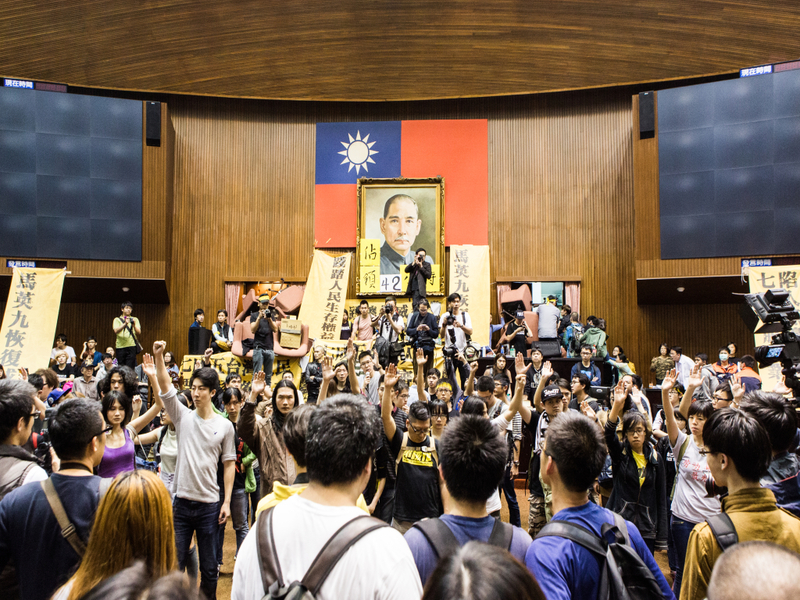 As such, we will see if Taiwanese activists find themselves up against the DPP sooner, rather than later. Does China Suspending Communications with Taiwan Mean Anything?